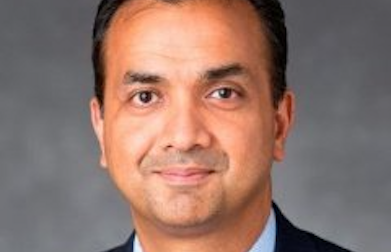 Khalid Azim is the Director of Strategic Curricular Networks and Partnerships at the Columbia Business School. His responsibilities include working closely with the Dean, faculty, the Samberg Institute, External Relations and Development to identify opportunities to connect faculty with industry practitioners across disciplines in an effort to link Columbia research with practice as well as bridge theory to practice in course and curriculum development. Mr. Azim has enjoyed a rich and varied background with almost 20 years of US and International experience as a financial service professional and Managing Director. He also served as a White House Fellow during 1999-2000 under President Clinton. His primary experience is that of a Global Capital Markets Banker covering financial institutions and the emerging markets at Morgan Stanley and UBS Investment Bank. In other roles at Morgan Stanley he worked in Fixed Income Sovereign Credit Research, Fixed Income Management and as the Global Head of Business Continuity Management. Mr. Azim also served as an officer in the US Navy on a fast attack nuclear powered submarine and a surface ship and is a veteran of the first gulf war. He was awarded the Navy achievement and commendation Medal for his accomplishments in Desert Shield/Storm. He is also a life member on the Council on Foreign Relations. Mr. Azim previously was a member of the Board of Trustees of the Cathedral School of St John the Divine. He has a BA in English from Pitzer College (Claremont Colleges) and a MBA from the Darden School of Business Administration at the University of Virginia.